She was pulled over the other day because the officer thought her tag was bogus (see lead image). NJ used some really lousy paint on some of these tags, and I’ve seen quite a few not unlike hers. So, the cop ran her tag and said it was bogus. Because he typed in the wrong numbers. After having her pulled over for 15 minutes, he comes back and tell her he’s not going to write a ticket and only going to give her a warning. 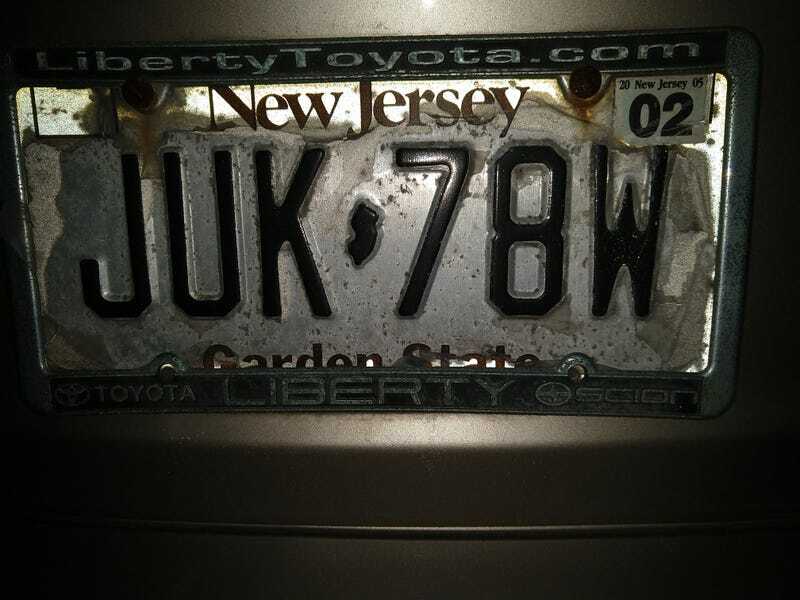 So, she asks the cop how does she get a new plate, and his response was “I don’t know, try the DMV”. So, I have a bunch of issues with this. You let her off with a warning? Why? How is she at fault because the state used sub-standard paint on their license plates? How can you tell someone to fix a plate if you don’t even know how to go about it? And, probably the thing that bugs me more than anything, he followed my wife for about 5 minutes before he pulled her over. Meanwhile, in the next lane there’s a semi throwing giant chunks of ice/snow off the trailer as it’s going down the road. I don’t want this to be a pile on for people that don’t care for officers. I support the police and think that some get some bad press. I just question why pull her over for a bad plate (that wasn’t even bad to begin with). It was also 9° that day, so it wasn’t like it was a balmy day. If I was a cop I wouldn’t want to even get out of the cruiser. So, anyone else have any stories of weird reasons they’ve been pulled over?